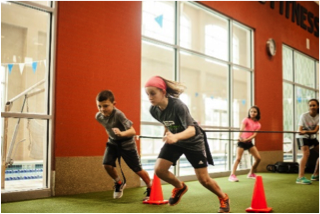 To complement our soccer programs, VYS is partnering with Explosive Performance to improve our youth soccer players’ overall athletic performance (e.g., running, jumping, turning, cutting, stopping, etc.). VYS acknowledges that it needs to embrace a holistic approach in its model. VYS has chosen Explosive Performance as a partner given their top certified trainers, unique ability to scale to our club’s needs, and most importantly the ability to bring and integrate the latest medical research in athletic training and sports injury prevention. Currently, there is a gap between soccer performance and the foundations of the “athlete,” including proper biomechanics, dynamic warm-up, strength and speed training, and regeneration/recovery. Studies worldwide show that these appropriate training measures when applied have not only reduced sports injuries but also advanced the player’s proficiency in their respective sport. While this insight is becoming more commonplace, most youth sports clubs still embody old habits whereby coaches take their players’ athletic ability as a given and don’t take the appropriate steps to improve their athletic skills. Teams rarely incorporate sports performance training into their system. For players and parents recognizing the need to also focus on general athletic skills, they have been forced to individually sign-up for such services or as teams in a few cases. Consequently, VYS strongly believes that it is their duty to put the player first and is pleased to offer its Athletic Performance Program to complement our soccer training programs. For any questions on this exciting program, contact Kevin James (KJames@vys.org) or Kevin Boyle (ep@usfitnessgroup.com). For U13-15 VYS House and Travel players, Explosive Performance is offering discounted prices for its Youth standard training courses. The cost of this program is TBD for the fall. These programs are not unique to VYS and will have non-VYS participants. We intend to launch a VYS-specific program in this area in September 2018.